From 12-14 October 2017 Helena Fraser, UN Resident Coordinator in Uzbekistan and Olivier Chave, Ambassador of Switzerland in Uzbekistan visited the Republic of Karakalpakstan to familiarize with the current situation in the region and efforts of the Government to prevent the consequences of the environmental crisis; measures for adaptation to the climate change as well as the UN activities in Karakalpakstan. The visit was organized by the UN Joint Programme “Building the resilience of communities affected by the Aral Sea disaster through a Multi-Partner Human Security Fund for the Aral Sea”, funded by the United Nations Trust Fund for Human Security. The OSCE Representative on Freedom of the Media Harlem Désir will visit Tashkent from 17 to 19 October 2017 and open the 19th regional Central Asia Media Conference "Open Journalism in Central Asia". From next year, the double (green and red) channel system will be introduced at customs control points of Uzbekistan. According to the October 11 government decree, the system should enter into force at international airports on January 1, 2018, and at automobile and railway checkpoints - from January 1, 2021. The head of Chechen Republic Ramzan Kadyrov today arrived in Uzbekistan on a two-day working visit. During the visit Ramzan Kadyrov will be received by President Shavkat Mirziyoyev. The sides are expected to discuss issues of cultural, spiritual and economic cooperation, RIA Novosti said. President Shavkat Mirziyoyev by his October 14 decree has appointed Ilgizar Sabirov to the post of Khorezm province governor. 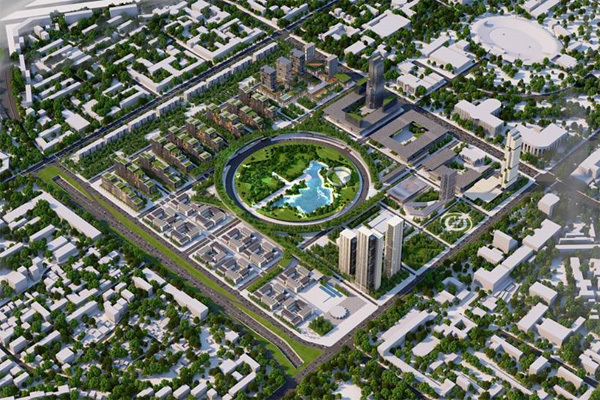 The concept of Tashkent City business district has been approved in Uzbekistan. The business district will be located on ​​80 hectares between Alisher Navoi avenue, Olmazor, Furqat streets and Islam Karimov avenue. President Shavkat Mirziyoyev arrived in the Khorezm province on October 14 to familiarize himself with the socio-economic reforms in the province and setting the future tasks. Uzbekistan Airways rented Russian billionaire Alisher Usmanov's Airbus 340 for use as the official aircraft of the President of Uzbekistan for long-haul flights, the company said in a statement. The raft of reforms under way in Uzbekistan must invest in the promotion and protection of human rights, including freedom of religion or belief, a UN expert has concluded at the end of an official visit to the country. Uzbekistan intends to "seriously review its approaches" and give "a qualitatively new dynamic" to its membership within the Commonwealth of Independent States (CIS), the President of Uzbekistan Shavkat Mirziyoyev said at the roundtable of the Council of Heads of State of the CIS in Sochi on October 11.